This should be a cause of concern for India as it raises questions about lack of a comprehensive national security and military strategy. Just 90 hours proved enough to bring about a radical shift in how strategic competitive conflict between India and Pakistan would play out in the future. Unlike the tactical ‘one-off’ operation in Uri, which was Prime Minister Narendra Modi’s first attempt to alter the status quo but produced no strategic results, Balakot was different. Post-Pulwama, India’s immediate political aim was to set a new normal – to strike preemptively against terrorism-related targets anywhere in Pakistan – for its response to Pakistan’s proxy war driven by terrorism under the cover of an irrational nuclear strategy, and shape the international opinion against its use of terrorism as a state policy. Its military aim was to demonstrate its capability for the same, neutralise Pakistan’s response with heavy costs and be prepared for escalation. Pakistan’s immediate political strategy was to preserve its sovereignty, retain its international relevance and deter India from exploiting the new normal. Its military aim was to neutralise India’s preemptive strikes with heavy costs, demonstrate its capability for a quid pro quo response, and be prepared for escalation. Overall, the 90-hour conflict, from 26 February to 1 March, ended in a stalemate, with both sides partially achieving their political and military aims. This should be a cause of concern for India as it raises questions about lack of a comprehensive national security and military strategy. Politically, India succeeded in shaping international opinion, to some extent even China’s, against Pakistan’s use of terrorism as a state policy. 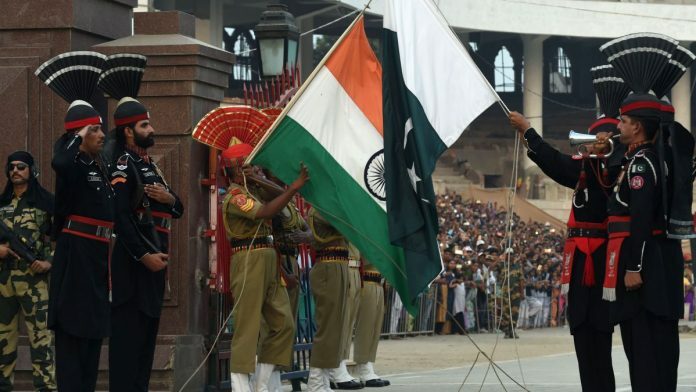 Diplomatically, India managed to isolate Pakistan post-Pulwama and during the 90-hour crisis. Backdoor diplomacy, led by the US, diffused the situation and prevailed upon Pakistan to release IAF Wing Commander Abhinandan Varthaman. International community has put Pakistan on notice and has forced it to initiate action against the ‘proscribed’ terrorist organisations. Pakistan’s track record in this regard does not inspire confidence. One can only hope that Imran Khan’s ‘Naya Pakistan’ walks the talk. However, given Pakistan’s geo-strategic location, its ‘alliance’ with China and Islamic countries, and its indispensability vis-a-vis American exit from Afghanistan, India’s diplomatic gains may only be temporary. Militarily, the conflict ended in a stalemate due the quid pro quo aerial strikes by the Pakistan Air Force and the ‘drawn’ aerial engagement, thus blunting the psychological fear regarding India’s conventional superiority. The reasons are not hard to fathom. Rather than promptly implementing contingency plans based on a long-term formal strategy, Indian response strategy has been ad hoc and event-driven. We neither have a comprehensive strategy nor have we created the overwhelming technological and military edge, which is a prerequisite for the success of this strategy. Prime Minister Narendra Modi, carried away by political rhetoric, inadvertently admitted this inadequacy. At the India Today conclave on 2 March, he said: “India is feeling the absence of Rafale. The entire country is saying in one voice today, if we had Rafale probably the result would have been different…”. He only stated the obvious. Why just Rafale, Prime Minister, even modern rifles would make a difference. You laid the foundation stone for a rifle manufacturing unit on 3 March in Amethi at the fag end of your tenure. Similarly, a comprehensive National Security Strategy and reforms in higher defence management, armed forces’ structure/organisations, and modernisation have been pending. There has been no forward movement in this regard for the last 20 years, which includes 10 years each of the Congress and the BJP rule. In the last few days, Pakistan stole a march over us in perception management, which was directed at the domestic and the international audience, including India’s. In today’s transparent world, one cannot solely rely on cryptic statements by the government without credible evidence. Once politicians start managing perception through political rhetoric at rallies/public functions, sooner than later they score self-goals as has been evident from the contradictory statements of the BJP leadership. Despite politically driven neo-nationalism having dominated the public debates for the last five years, our threshold for pain is very low and certainly much lower than Pakistan’s. The plight of the captured air warrior became a national obsession, which in turn influenced political and military decision-making. In my view, raising the ante with more air strikes would have put us in a better strategic situation. War-mongering in the last few weeks must not let us forget that there is a far more cost-effective option available – winning the hearts and minds of the people of Jammu and Kashmir. Forcing ‘compellence’ on Pakistan is going to be a long haul. If present diplomatic efforts fail, India may have to exploit the new normal and go up the escalatory ladder, right up to a limited war. And for that, a national security strategy and other highlighted reforms aimed at building an overwhelming technological-military edge are a prerequisite. Else, we will always be militarily stalemated and a stalemate is a defeat for India. I think No one had won anything , No one can win war as both sides have there issues , this people who say war war are really dumb bcz they are sitting behind social media and tweeting and sharing liking ,,etc ..these terrorist attacks happened in Pakistan as well So they clearly can blame India as well , honestly both countries using there agencies for bad things , the solution will come not with war but with honest and transparent negotiations to solve all issues , War on terror is not an easy task for both countries bcz the extremists will win if it happens we can see USA war on terror ? What USA gain ? Its totally loss and at last negotiations and its America , the same happened to Muslim countries fighting against terror included Pakistan.. There was no stalemate. India lost and is now licking its wounds trying to put on a brave face for the world to see. Defeat by a smaller country, India bit off more than it can chew. What do India and Pakistan need to do? 1. Pakistan needs to stop abetting terrorism. Both as state policy, as well as in their hearts and minds, people of Pakistan need to realize this is the first step to ensuring any meaningful solution. 2. Even if Pakistan makes this change of heart, it needs to be implemented, which will require a sustained effort, and help from other countries. 3. India’s policy should be to work with Pakistan state to root out terrorism. But this is not possible in the current environment, where even if India acts to root out terrorists in response to terrorist events, Pakistan immediately is compelled to respond to Indian military. 4. Imagine the support Pakistan will get from India and International community if they would welcome such counter-terrorist actions, and hail such actions as part of a sustained policy to root out terrorism. This is the strategy and policy India and Pakistan need to succeed and avoid war. 5. Pakistan needs help from India to root out terrorism emanating from its country, that has made Pakistan a country that is known for supporting terrorism, and not denouncing it. Even former President Musharraf recently admitted to Pakistan’s intelligence service using terrorist groups to plant bombs in India. What more proof can anyone in the world offer to people of Pakistan, who need to realize this needs to change. 6. India also needs help from Pakistan, not just in stopping cross border terrorism, but also rooting out militants on its own soil. Both countries need to help each other in rooting such elements out. Only then we can ever dream of peace and prosperity. 7. Media and politicians need to be more responsible and stop war-mongering on both sides. As a Pakistani I really respect your comment and I agree with you on many terms. This should be the way forward but cant be done unless Kashmir get independence. The blood of people of Pakistan boils when innocent kashmiris die, raped and shot with pellet guns. This because of Muslim brotherhood. India cannot afford to go to war. Sure it will win a war with Pakistan. THE COST OF WAR WILL SET IT BACK. India needs terrorism rooted out of Pakistan. Which will be impossible. Pakistan needs to control its terrorism; which is also slowly but surely eating up Pakistan. 1) Pakistan saw the world support shifting to India. Pakistan wants an equal world platform with India but cant have it anymore with India GDP already 10 times that of Pakistan and that gap widening each year. 4) The return of a prisoner so quickly, I think was the pressure of USA, which wants to get out of Afghanistan. And the pressure from China that badly needs the road through PoK and Pakistan to the Middle East and Africa as the water way through the East Asian Nations has too many problems and conflicts. INDIA did not have a clean win. BUT IT DID NOT LOSE. Besides it did not have control over the start or end of the conflict. That was in the hands of JeM and Pakistan’s ISI and military. Can you assess the failure of Pakistan military isolation strategy ? Your analysis lacks some basic understanding and is a somewhat biased. Let’s see what India achieved. It crossed into Pakistan with air force which was the goal but failed to accomplish the mission. As a result the deterrence was not achieved for any future events. But on other hand Pakistan next day brought down Indian planes that is a deterrence for India to not try any such adventures again. Then there is a question backing words with proofs which Pakistan cane up quite quickly. Like the video of falling plane and captured pilot. India took hours to determine what had happened. And then till date has not provided any proof. For example. Splice 2000 glide smart bombs come with camera. And targeting data is sent back to the plane which could have been provided to back claims of hitting targets if only they had hit the targets the footage would have been on each and every channel. Then India said they brought down F16, and only evidence they have is that some ground troops saw a plane getting hit. It could have been the same mig21 of Abinandan. May be a radar data or a satellite images could have been released of wreckage of F16. But still here India lacks behind. So it seems they were just supposed stories to save face in Indian Public. Then the way this all played in international media it put a picture of India to the world where people are thinking do we have a mad man who is also religious extremist ruling India who has nuclear trigger and is mad enough to cross the limits. And on other hand they saw Pakistan as a progressive country with Order and stability. This has hurt Indian image internationaly. Do you think Pakistan is isolated, I do not agree with that. Russia, USA, OIC countries and even Europe saw Pakistan as a friendly country. Kashmir issue has been raised in UN report of rights abuses by Indian forces, OIC stating that India has been indulging in state terrorism, UK parliament is going to have a full day talking about Kashmir. Russia and China want both countries to sit on table and talk. Which Pakistan has been asking. So it seems it’s win win for Pakistan and India lost its credibility, dignity, good boy image, deterrence, conventional superiority, will power, morale of armed forces. But it gained bad boy image, label of state terrorist, lost secularism in its society, India showed how radicalized it has become. Hate red of Kashmiri people and it’s minorities. And lack of systems to protect it self. In the end I think India needs to change. It needs to sit and talk and fix its internal issues and corruption. And stop getting played by radicals like rss and bjp and also stop being a pawn for the west. Have some self respect and rise above and be Gandhi’s India. What is happening in India is something years back isis was doing in Iraq and Syria. Lynching people based on religious beliefs. Mob attacks on minorities. It’s a delicious irony Mansoor that you talk of India being a pawn for the West when that’s all Pakistan is. A pawn of world powers, be it America in the Afghan war or China now. What is the self respect of a nation that has a US military base in the heart of its territory or a Chinese owned gateway running through the breadth of it? There is no doubt that India needs to tone down it’s hard line response to Kashmir and Kashmiris but to compare it to Pakistan is ridiculous. Pakistan is seen as the world’s headache. A failed state with nuclear weapons. Mansoor, the fight against dirt is always fraught with danger of dirt getting stuck…..i hope you can draw your inference…..
Let there be a war. The adequacies or inadequacies of leadership show up in a war. What if in a war Turkey or Saudi allow their bosom pal pakistan to borrow weapons/planes etc? I am betting nobody has thought about that either. The point is that americans and russians should, if they are friends of india, not allow their weapons/aircraft sold to saudi/qatar/turkey, to be borrowed by pakistan either. Saudi Arabia and Turkey and Qatar, these countries should be treated with high suspicion for their alliances with Pakistan which pakistan can end up using for weapons borrowing. You cannot count on old paradigms with islamist regimes now ascendant in turkey, and qatar/saudi. And going with the esclatory ladder up to limited war how many lives you end up with? Will he war be limited or go Nuclear? You never know. Let’s be mature and solve issues with negotiation. I don’t see negotiations giving any result…rather sort war, millitancy will keep happening…..the only solution is complete war unto death…those who survive will leave the for long period of time with peace…. how does the survival of hindus is at stake??? a hindu nationalist government rules in India. Muslims in India are totally integrated in the society, they in 1947 preferred India over Pakistan. and they still prefer India., they are as nationalistic as any other Indian. Kashmir is another case. the kashmiri people dont want to be a part of India. many kashmiris dont even want to be part of Pakistan. They just want independence. During this conflict, the way kashmiris working/studying in India were treated really exposed the intentions of the Indian government. Govt and many of the Indian people are only interested in the land of kashmir, not the people of kashmir. The only solution is to acknoledge the fact that u cannot make someone live with you if they really dont want to. Stop abusing kashmir and its people!! Survival of Hindustan at stake?? A very unwise and narrow statement, from the books of Yogi Adityanath. WHAM the strategy for winning hearts and minds as a deterrence to terrorism is being paid lip service, of not being totally ignored by the current dispensation. When even me, an UK citizen was the target of abuse and diatribe by a shop keeper on my recent visit to Jaipur, after being mistaken for a Kashmiri, just because I was wearing a Kashmiri cap. This was before the current conflict. Fortunately I have the option of taking the flight back to safety but what about the real Kashmiris living and learning in India, which has been amply evident by the beating up of dry fruit sellers in Lucknow. The issue is always brushed aside as the work of fringe elements. I have not mentioned the conditions in Kashmir as I know not what they are….WHAM will remain an aspiration only as long as we don’t introspect. Right up to a limited war … A solution far worse than the disease. Fine column by former High Commissioner to Pakistan Shri Sharat Sabharwal in IE today. Ends on the note that long standing consensus on foreign policy – including Pakistan – which has been disrupted in recent years needs to be restored. It seems to me that Balakot – like Dokalam – was a hurried, one will not say impulsive, decision. By the grace of God – and some forceful, much needed external mediation – war was avoided on both occasions. 2. Pakistan and Kashmir have been intertwined with domestic politics in a manner that does not serve the national interest. We should slowly start retracing our steps before events take on a momentum of their own.